What is Give Where You Live? 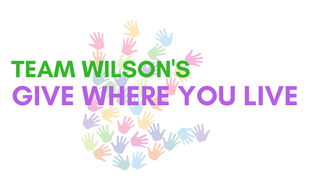 Team Wilson’s Give Where You Live event is our way of giving back to a community that has given us so much over the last 20 years. We pick local organizations and reach out to all of family, friends, clients, and networking partners to come help out and give where we live! Who are you helping this year? This year Team Wilson has included New Hope Ministries, Allen Community Outreach, and Carter BloodCare. New Hope Ministries is an organization very near and dear to our hearts. They are affiliated with Suncreek UMC and help women and families in domestic abuse situations by furnishing apartments and helping them with their independence. Many women don’t leave abusive relationships because they are financially dependent on their abuser and feel they have nowhere else to go. You can help New Hope by donating furniture and household items OR bringing documents to shred for a $5+ donation. Allen Community Outreach (ACO) provides necessary health and social services to those in desperate need in the Allen, Fairview, and Lucas communities. They provide food, clothing, hygiene products, housing and medical assistance, as well as education and employment services. ACO is essential to the Allen Community. You can help ACO by donating clothing, non-perishable items, gift cards, technology, or small furniture items. Carter BloodCare will have a truck present for blood donations. Did you know donating blood can save up to 3 people’s lives? We use Carter BloodCare because the blood goes to local DFW hospitals. This means your donation really is helping people in our community that desperately need it. When and where is Give Where You Live? If you plan on giving blood make sure to eat a big meal before and register here. Please make sure donations are in good condition (no rips, stains, odors). No donation is too large or small! If you have large furniture to donate, email RealEstate@TheTeamWilson and we can bring a trailer to pick it up! We will have snacks, drinks, and lots of fun! We hope to see you there.